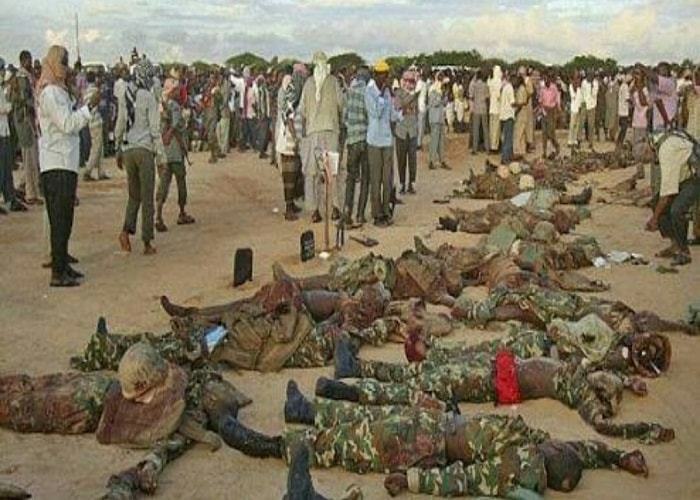 Following the killing of 53 soldiers and an army commandant by Boko Haram insurgents at the 157 Task Force Battalion in Metele village, Abadam Local Government Area of Borno State on Sunday, the upper chamber of the National Assembly on Thursday adjourned sitting for one day in honour of the fallen soldiers. 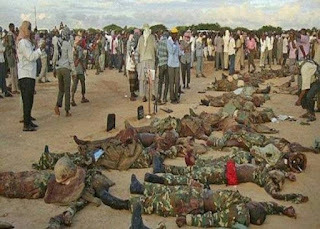 The Senate, however, mandated its committees on Army and Defence to investigate the killings, welfare, and wellbeing of Nigerian troops fighting insurgency. The lawmakers also resolved to visit men and officers of the Nigerian armed forces on the battle field, particularly in the North-East, who are fighting the insurgents. The resolution of the Senate followed a motion by the Deputy Majority Leader, Bala Ibn Na’Allah (APC, Kebbi South), at the instance of the President of the Senate, Bukola Saraki. Leading debate on the motion, Na’Allah lamented the condition of the military personnel fighting insurgency in the North-East and also the death of the commandant. The lawmaker urged his colleagues to observe a minute silence in honour of the slain soldiers and their commandant. He also asked the Senate to pay condolence visit to the Chief of Army Staff and families of the murdered soldiers, and carry out a thorough investigation of the circumstances surrounding the killings and welfare of serving soldiers. In his contribution, Andrew Uchendu (APC, Rivers East) urged the Senate to “shut down” for one whole day rather than observing a mere one-minute silence, a suggestion which the Senate accepted. Other senators, including the Deputy President of the Senate, Ike Ekweremadu, in their contributions, lamented the poor condition and the hazardous tasks of men and officers of the armed forces in fighting Boko Haram insurgency. The Senate, however, urged the Federal Government and military authorities to adequately equip the personnel and take care of their welfare, among others.